That sounds bad, but what I mean by it is that, for indie authors, our first purchasers are often primarily other indie authors ... that or friends and family who want to "help us out" even if they really might not like our book (or even reading) very much. But the results can be really really bad. Because not all sales are created equal. 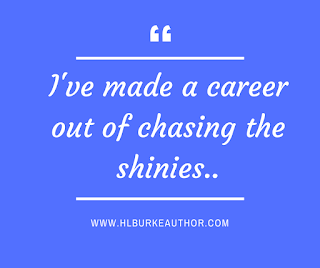 It seems counter-intuitive that there are times you may NOT want to sell a book, especially when you are just getting started and every sale seems so hard won. You want your book's ranking to go up, not down, and that won't happen without sales. I've seen groups of authors agree to buy each others books. They'll start circles where they'll each order the other's books on an appointed day to give the book a boost in rankings, often dropping the price down to 99 cents. Not that they plan to read those books. They might not even like that genre, but what's 99 cents to help a friend and fellow author? After all, getting noticed in the sea of Amazon titles is hard. They'll start "social media follow chains" where everyone goes through and likes everyone's Facebook page or Twitter account or Instagram or Blog. They'll post books on blogs, join street teams, share links ... all to "support your fellow author." It's warm and fuzzy and ... and just stop, people! This isn't working! Because doing all this for short term benefit has the long term result of your marketing being incredibly confused. You're a fantasy writer, but your blog has a dozen links to romance books. You're a mystery writer, but your Facebook page is followed by a dozen scifi writers who really don't read in your genre but just love to support you. You're a religious fiction writer, but your "People Who Bought This Book Also Bought ..." is populated by a bunch of steamy romance and covers of bare chested dudes because several people in your writers' group write erotica and you're a lovely person so they picked up your book when it was on sale, just to be nice. And there is a lot of pressure in this world to be supportive, so if you decide to take a "stand for your brand" you may get some backlash. I always feel a little bit like a jerk when (on a fairly regular basis) a writer friend asks me to host a stop on their blog tour for a genre that really doesn't fit my "target audience." The thing is, by refusing, I'm doing them a favor, but it never feels that way. It feels like I'm telling them they don't fit in with the 'cool kids club' that is my blog. In the beginning I was less consistent about this, and my branding suffered a bit. Now I've doubled down on Fantasy FANTASY FANTASY! Because that's what my readers want. A reader who is searching for romance isn't going to want my stories of dragons and killer robots (though my own bouncing around from middle grade to romantic fantasy to Steampunk probably doesn't help me much ... I'm easily distracted, what can I say? 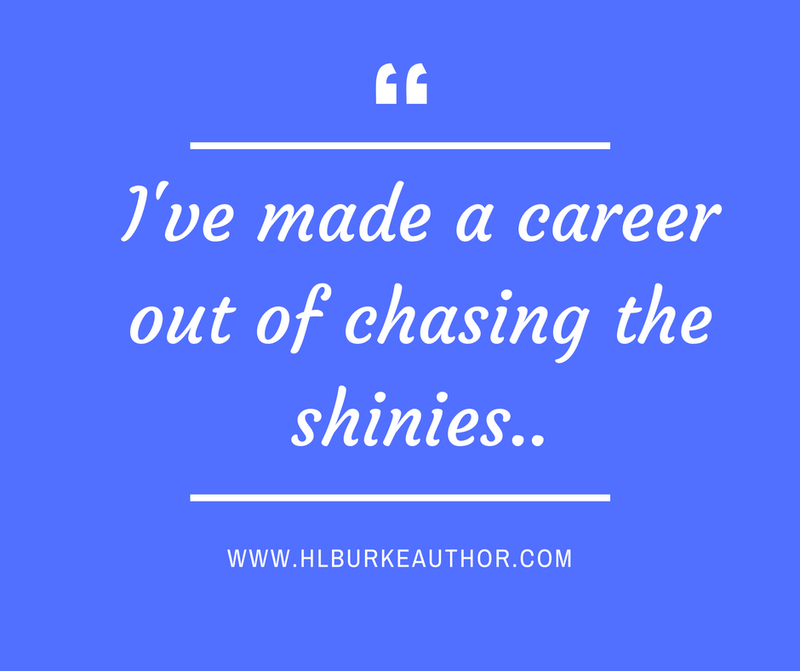 I've made a career out of chasing the shinies.). So I've been doing a lot lately to tighten my brand, being more selective about what I share even if it means not "helping" a few people in the short term. But what can you do, then, if you feel guilty for not supporting other authors? For starters, taking command of your brand doesn't mean you have to stop "supporting." Your readers might not like to read in another genre ... but that person you encounter at the local library might. Your sister might. Your weird cousin who sends you Christmas cards with their ferret dressed as an elf might. You can tell other people about their books. Just do it as yourself, not as your-writer-self. In other words, don't cross the streams. You can also be supportive by talking shop, sharing a great tip you found for promotion or a resource for research, or just being "there" when someone is struggling. Also, it is important to seek out writers who write in a similar genre as you. Those you can share readers with. Those can help you grow, and in turn, you might be able to help them out. That was a lot of the reasoning behind the founding of The Fellowship of Fantasy. Authors who write within a genre, carefully targeting readers who like their genre. If you'd like to hear why this matters from someone with a little more "experience" than me, here is a good video which I think explains some of the problem a little better than I can. This is very true, Heidi. It's a tough balance to strike. I also do a lot less hosting of other authors than I used to. Mostly, when I share, it's books that I have actually read and have enjoyed (like yours). They might not be exactly in line with my genre, but I figure that if I like them, my readers might as well. Incidentally, I'm also doing some skipping around with my genres. My new series is kinda light fantasy, which is definitely a different thing for me. I'm going to have to check out your Fellowship of Fantasy. Yeah, if I read and enjoy something "off brand" I will usually try to share it to my personal page, and I try not to market my own books on my personal page too much because I don't expect people to buy my books just because they know me, you know?